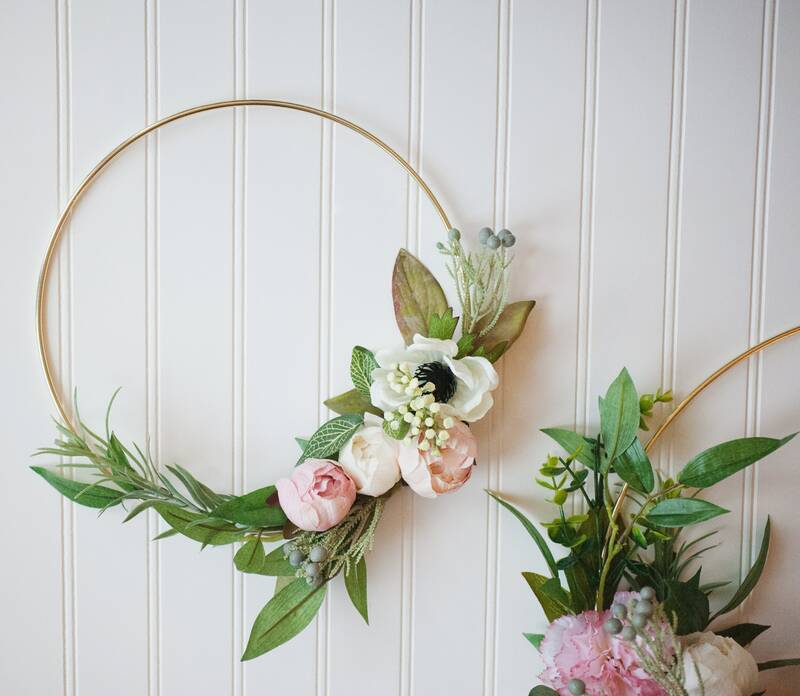 This 3 set of gold hoop wreaths are part of the Adore Series- a collection of soft, romantic florals in a natural-style composition. 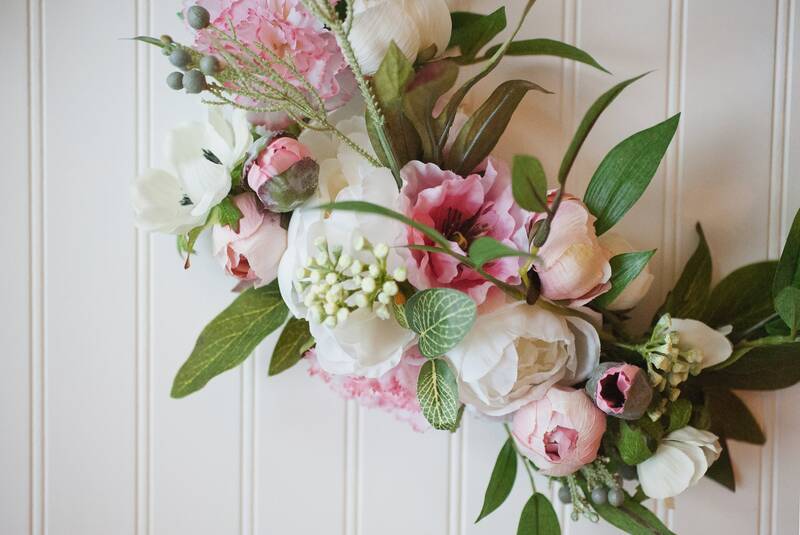 They feature poppies, peonies, carnations and anemones, with delicate berry sprigs and greenery mixed in. 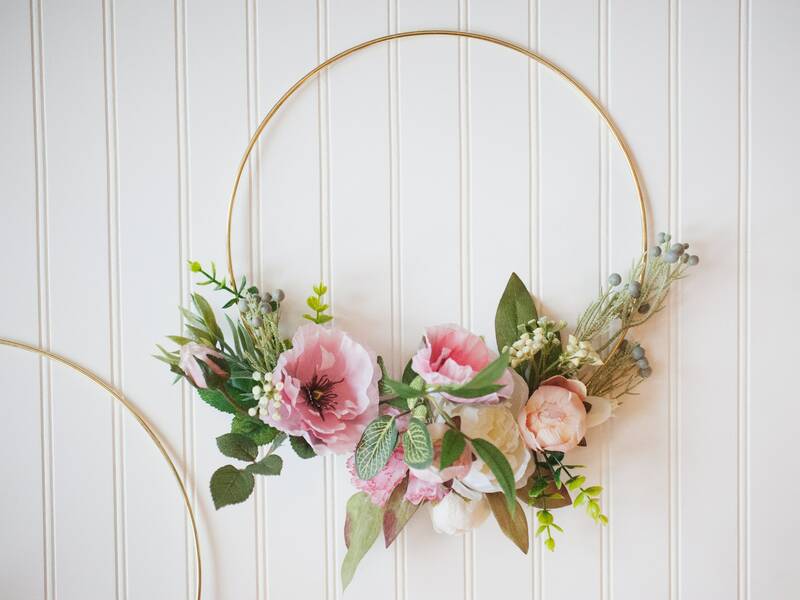 The arrangements are detailed & complex, which will give your display an extra pop of depth! They are sweet and chic, and would be super darling above a crib (or gifted as a baby shower gift!). 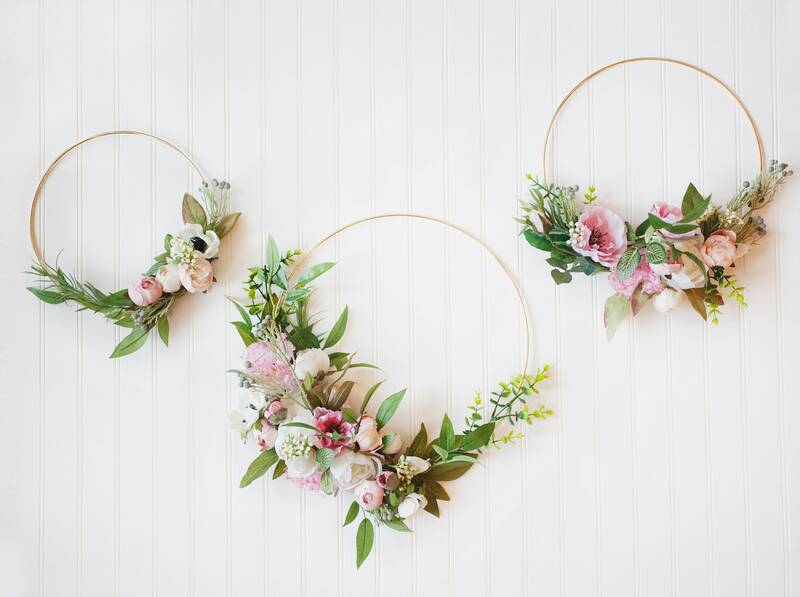 They would also work well in a photo shoot, or you could even send them down the aisle with your flower girls! The finished products are attached to hoop forms that are 14", 12", and 10" in diameter.